If you are a fan of Rorouni Kenshin, Viz Media is bringing a new series to the states inspired by the work of Nobuhiro Watsuki. 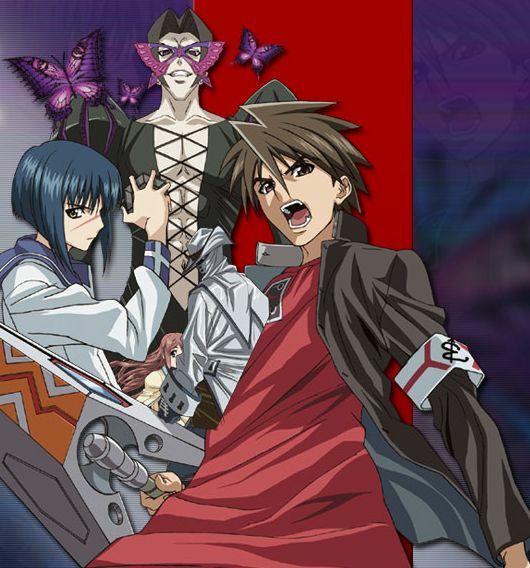 Buso Renkin will be released on April 29th, and the 3 disk set will feature the first 13 episodes of 26 total. The collectors box features exclusive art prints from the series. Kazuki Muto is a high school student who on his way home see’s a girl who he thinks needs saving from a monster. Turns out that the girl, Tokiko Tsumura, is an alchemist fighting the homunculus, a creature that feasts on humans. Muto ends up getting in the way and gets impaled and later dies. Tsumura revives him with an alchemical device known as a Kakugane. Using this device, Muto can create his own alchemical weapon, the Buso Renkin, and decides to join forces with Tsumura to battle the homunculus. Check out the DVD box set at Amazon. For more anime, check out my New Anime List.